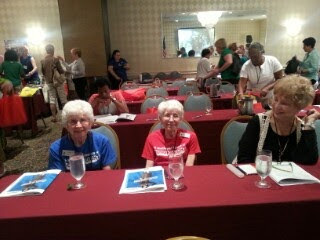 I will be posting photos of women vets attending the conference. Here is the first post. They are World War 2 vets and also twin sisters. If you look carefully at their t shirts you will see they got and honor flight from SW Airlines to transport them to the conference. They are our celebrity attendees.